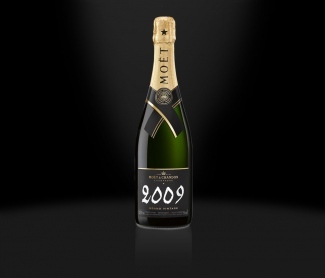 Last week, Moët & Chandon launched their 73rd Grand Vintage, the much anticipated 2009. 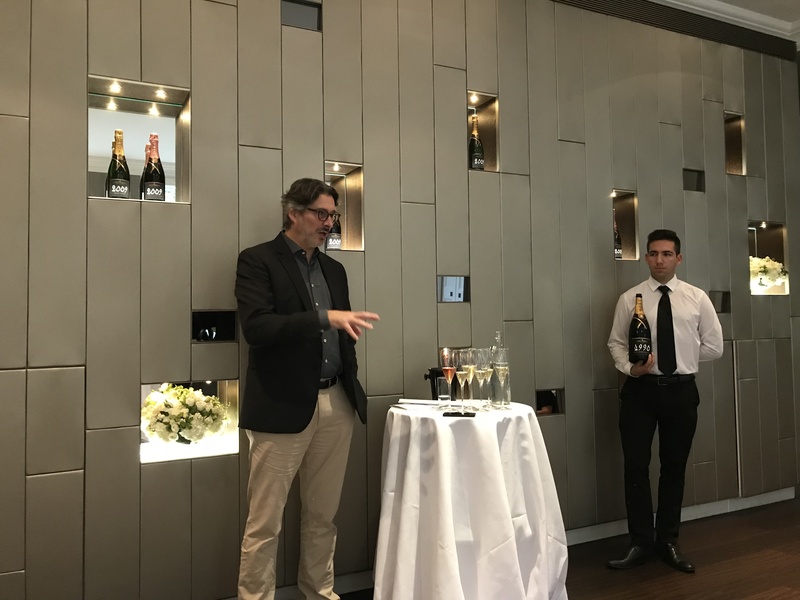 To mark the occasion, head winemaker Benoît Gouez flew over from Champagne and personally presented his latest creation at the company’s London headquarters. Gouez, who joined the famous house in 1998, began with an introduction to the vintage category. “Vintage production is 10% Champagne wide and just 5% for Moët,” he told us. Although they produce less vintage proportionately than the average Grandes Marques – due largely to the immense popularity of their non-vintage cuvée – Gouez reminded us that vintage is all about diversity of supply, of which Moët have an abundance. Their vast resource of over 230 villages allows Gouez to select from the best ingredients and nuances to produce the inimitable Moët style. 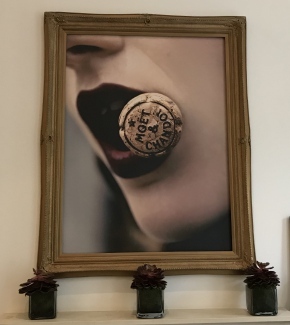 “We look for three qualities at Moët & Chandon,” Gouez said. Those three magic must-haves are: i) Clean fruit flavours – not disturbing the character of the grapes, ii) Generosity – meaning texture, mid-palate intensity and less acidity, and iii) Drinkability – not for intellectual analysis but for enjoyment. 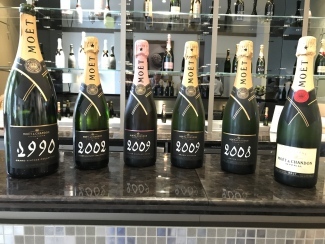 To achieve these, Moët is always a blend of all three grape varieties with a maximum 9 g/l dosage, although this is usually around 5 g/l for the vintages. Although today’s tasting was primarily to showcase the new 2009 vintage, this was more of a Moët masterclass. We started with a glass of Imperial NV – disgorged just three months ago, this was our first taste of a non-vintage based on 2014. Gouez explained that the reserve wine content has seen a rise to 50%, due to the wine from recent good quality and quantity harvests being entered into the reserve program. Speaking of the harvest just gone, Gouez informed us that Moët sacrificed approximately 20% of the yield in 2017, but still finished with 650 different base wines entering the first round of tasting! Lots of apple character, really fresh with some custard notes and finishes with a hint of lemon.Nicely balanced for a pre-10am glass! So what of 2009? Well, it was a “modern year” (which has increasingly become to mean “influenced by global warming”) with a hot summer and harvest. Gouez talked of being seduced by the sophisticated structure of the red grapes, hence Grand Vintage 2009 has the highest Pinot Noir content – 50% – since the 1996 vintage. Overall, they are both very good vintage champagnes. That said, Gouez prefers the 2009 for its balance and long-term potential; the acidity dominates too heavily in 2008 – a lesson in patience for the decision-makers at picking time. Quite gunflint-y to start, lots of lemon and a hint of lime. Nice custard flavour comes through on the palate alongside some real Granny Smith character. Given a bit of time the lemon richness comes up. Good mid-palate, some chalky character and yellow plum notes. Some richness of fruit to start: ripe apples, lemon and plum. Seems quite forward and rich with lots of power. Has a richness that doesn’t seem to be there in the 2008. This is very balanced and showing great now. Since Gouez joined in 1998, Moët’s rosé production has risen from just 2-3% to 20% of total production across all styles. A significant increase that marks the growing global popularity of this unique category of champagne and a direct result of big investments in the vineyards and winery to get the quality of rosé just right. The Pinot Noir and Pinot Meunier red wine content in Grand Vintage all originates from Moët’s own estate, primarily Aÿ and Hautvillers – two villages renowned for the finesse in their tannins. The red wine content in Grand Vintage Rosé 2009 is 19% – slightly higher than usual – but Gouez explained this number will be reduced as the quality of the red wine is improved. Nice strong pink colour. Lots red berry and raspberry on the palate. Seems slightly dry and not very giving in the mouth. Quite tight at present and ends very dry with a hint of tannin. Blanc is showing better currently. When Moët & Chandon release a current vintage, they also release two older vintages of a similar style as part of their Grand Vintage Collection. Alongside the previous release, 2008, the house released 1998 and 1988 (see our Moët Trilogy case). For 2009, Gouez initially planned to release 2000 alongside, due to their similar sugar and acidity levels. However after disgorging a few bottles, it was decided their tasting profile were too distant from each other and Gouez decided instead to release the similarly ripe 2002 (hence the late disgorgment date). The Grand Vintage Collections represent the same blend and bottling as the original release, but have been kept on their lees for many more years, contributing added complexity and autolysis that manifests itself in brioche, coffee and nutty characteristics. In addition to 2002, Gouez also launched Grand Vintage Collection 1990. We tasted this from magnum and were stunned by its youthful freshness. Asked what quantity is kept aside for these late-release Collections, Gouez revealed 20,000 bottles were originally put behind in 1993, but hinted that they now store double that quantity. It is testament to the quality of Grand Vintage 2009 that Gouez has associated it with 2002 and the 1990. Wow. This has some lovely character, lots of lemon richness and stone fruits. This has a freshness still and is lush, powerful and light. Going back the richness has really come out. Some brioche and lees character is dominant and the acidity on the finish makes it seem so fresh. Great colour, lemon gold and bright bubbles. Wow, what a nose! Lovely mushroom character combines with bright lemon, lime and plum fruit. The most seductive nose, very creamy and vanilla. Loads of freshness on the palate and creaminess in spades, all the brioche from the ageing makes this so rich and the length goes on and on. Fresh toastiness and balance, still very nice. Perfect condition. Whilst discussing the topic of longer lees ageing in the Grand Vintage Collections, Gouez was asked: is there a point at which the lees stops adding to or protecting the wine? He seemed to think not and, as an employee of the world’s most famous Champagne brand, had the evidence to support his answer. Incredibly, Moët conducted a study that gauged the effects of 50 years of lees ageing and found that the yeasts were still consuming oxygen. They even added micro injections of oxygen to asses consumption, and confirmed there is definitely reductive potential at 50 years. “The more you age on lees, the more you build up the ageing potential,” Gouez added. Finally, talk turned to the future. Gouez noted that the effect of global warming has, ironically, seen short-term positives for champagne. Whilst the history of the region was all about achieving a level of ripeness and avoiding rot, now, with consistently warm summer months like those seen in 2009, potential alcohol below nine “doesn’t really exist more”. An ominous observation for future generations and a statistic to watch. 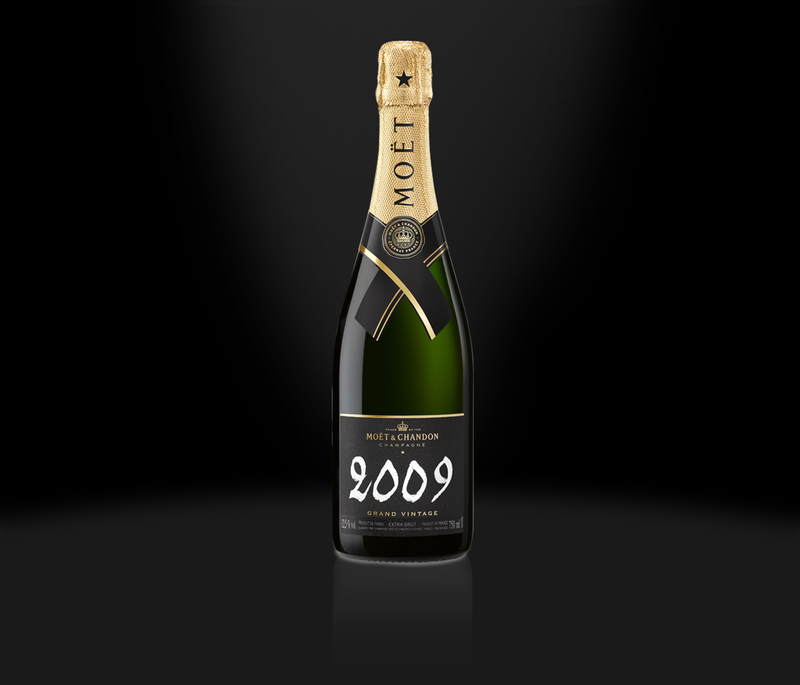 Buy Moët & Chandon Grand Vintage 2009 here.